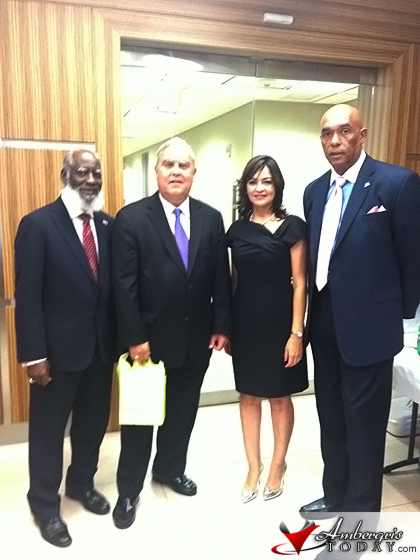 On Tuesday, October 1st, 2013, the Consulate of Belize in Florida inaugurated its new office located in Coral Gables, Florida. 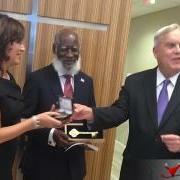 The Mayor of Coral Gables, Mr. Jim Cason enthusiastically welcomed the Consulate of Belize to his city. The Honorary Consul General, Mrs. Janine Sylvestre Vega, welcomed the Minister of Foreign Affairs and Attorney General, Hon. Wilfred Elrington, as well as Mrs. Candelaria Saldivar-Morter, CEO in the Ministry of Labour, Local Government, Rural Development and National Emergency Management and Immigration and Nationality, along with other Belizeans and leaders of the community who attended. 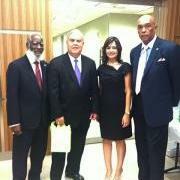 Both Honorable Wilfred Elrington and CEO Saldivar-Morter addressed the guests present. 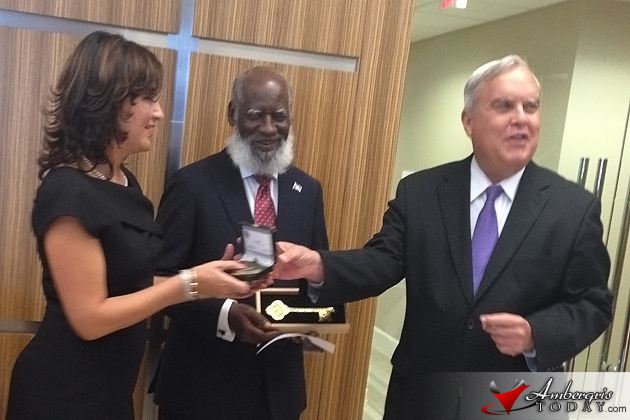 During the ceremony, Mayor Cason handed over the key to the city to Minister Elrington and its seal to the Honorary Consul. i want say congrats for new office. you know new office you are exploring your business.